Last fall, Sierra Club Canada Foundation floated an audacious plan to rebuild the Prime Minister’s official residence at 24 Sussex Drive as a net-zero energy heritage retrofit. $15, $25 or even $50 would go a long way to help to make sure that the Sierra Club Canada Foundation can continue the vital work they do to protect Canada's environment. No mother should ever have to consider crossing a treacherous highway with her little ones in tow. That’s exactly what Charlie Richmond and the Sierra Edmonton Group thought when they took on a project that would see a wildlife underpass built beneath a busy arterial road. We just wanted to reach out to you today to say thank you. Thank you for your commitment to making our world better, healthier and safer for all. Because it matters. Because you care. Thank you for your deep concern that our children and grandchildren will inherit this country and the world beyond our borders in good shape. The Paris Agreement Isn’t the End. It’s Just the Beginning. PARIS — It was December 13, and I was finally getting just one day away from the 18-hectare converted aircraft hangar at Le Bourget, after two weeks involved with the United Nations climate summit. "Canada is back, my friends,” Prime Minister Justin Trudeau declared again Monday, in his speech to the opening plenary of the United Nations climate summit. But as negotiators from 190 countries make their way through the ponderous, technical process of wordsmithing a make-or-break global agreement to control climate change, it’s becoming clear that the devil is in the details. Canada is Broiling. Premiers Know It. Now It’s Up to Us. Eleven of Canada’s 13 provincial and territorial premiers were in Ottawa Monday for a climate science briefing and four-hour working dinner with Prime Minister Justin Trudeau. The Energy Mix is a thrice-weekly Canadian e-digest on climate change, energy, and the low-carbon future. During the UN climate change negotiations in Paris November 30-December 11, they’ll be publishing every day. 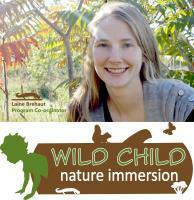 Wild Child Program Coordinator, Laine Brehaut of Prince Edward Island, originally published this post on her personal blog. We’re proud to reproduce it here. 100% is possible! Get your costume ready! Get your costume ready! In two weeks, Global Climate Marches and mobilisations will be taking place in Canada and around the world. Every day, marches are being announced in new locations on the 29th of November, to demand immediate and effective action on climate change leading up to the COP 21 Climate Change Summit in Paris. We need you to join us! In Canada, thousands have already pledged to march in Ottawa and other cities across the country.